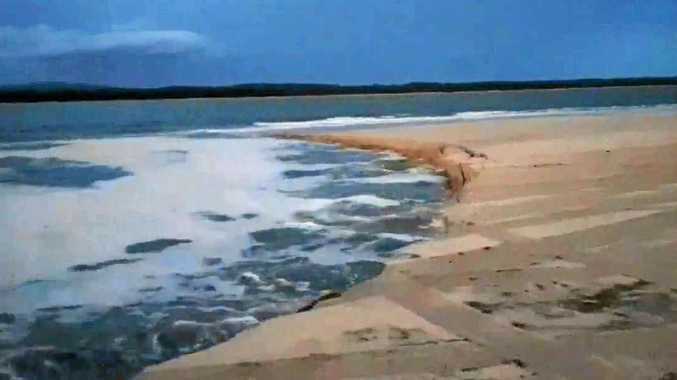 A SMALL overnight landslip has taken a chunk out of the point of Inskip Point, just two weeks after the popular Cooloola Coast tourist area was inundated with water from the ferocious weather of ex-tropical Cyclone Oma. The collapse on the tip of the shoreline reportedly occurred last night about 6.30pm in an area close to the barge landing area, where local anglers captured the erosion on video. 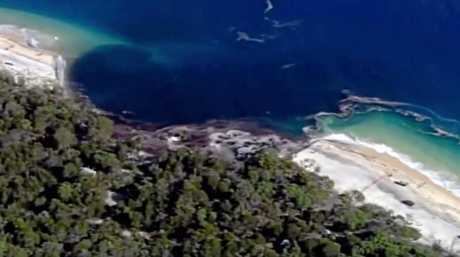 Manta Ray Barge skipper Mick Kunz, who was driving between Inskip Point and Fraser Island this morning, estimated the size of the erosion to be about 20m wide and three to four meters deep. He said the "point had changed a bit" but the erosion had not affected barge operation with plenty of beach left either side to land. "It took a little bite out of the tip," he said. "In comparison (to the last "sinkhole") it's basically nothing. In the next week or so it will not be noticeable." 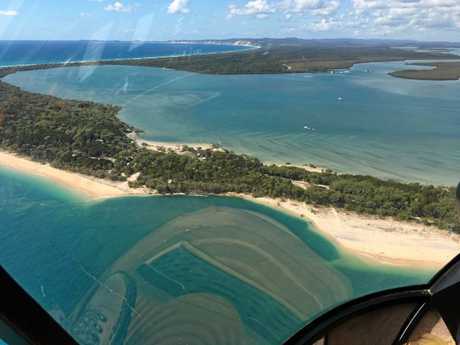 Cooloola Coastcare's Lindy Orwin said the real concern was for beach drivers to the area. "It will replenish relatively quickly - but while there's this strong swell around it will keep eroding. "It's in an area of the beach that people drive on - you don't like walking up to the edge of an avalanche." Commonly referred to as "sink holes", last night's crack in the shoreline is the third time a visible landslip has opened at the beach camping area in less than four years. Last September a 200-300m hole opened on the shoreline north of camping areas, leaving a bow-shaped bay in its wake. 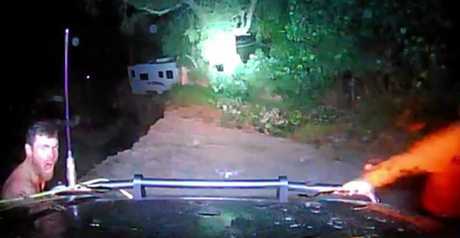 In 2015, a near-disaster landslip that unfolded during the night near the Sarawak campgrounds sucked a four-wheel-drive, a caravan, a camper trailer and some tents into the hole. Nobody was injured in the event that made national headlines. 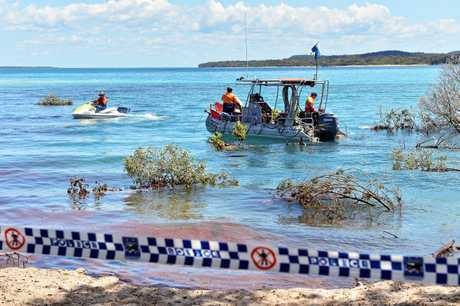 A spokesman for the Queensland Parks and Wildlife Service has said in the past these events happen somewhere along the Inskip peninsula about once a year but there is no way of predicting when or where they will happen. Following the 2018 landslip, QPWS said the erosion was most likely caused by the undermining of part of the shoreline by tidal flow, waves and currents. 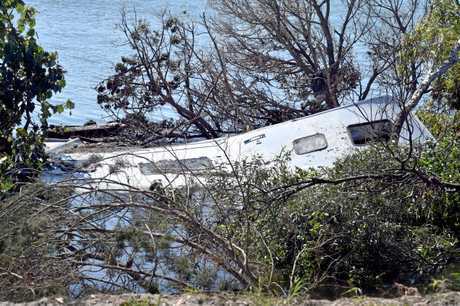 "When this occurs below the waterline, the shoreline loses support and a section slides seaward leaving a hole, the edges of which retrogress back towards the shore," a QPWS statement said.